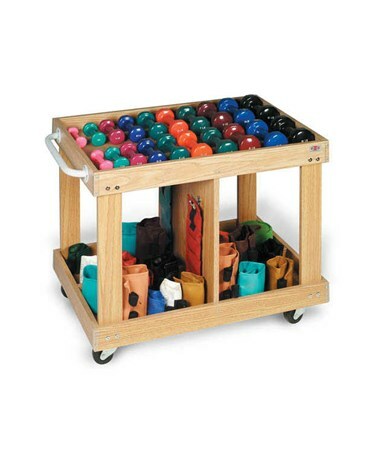 Upper work surface tray size of 34 1/2" x 22 1/2"
The Hausmann Industries Dumbbell Weight Wagon is a storage device designed to hold and stores dumbbells, other weights, exercise equipment, and accessories. It has an Oak laminate finish on all surfaces, an upper work surface tray size of 34 1/2" x 22 1/2" that can hold up to (20) various size dumbbells, and a lower storage shelf with vertical divider. 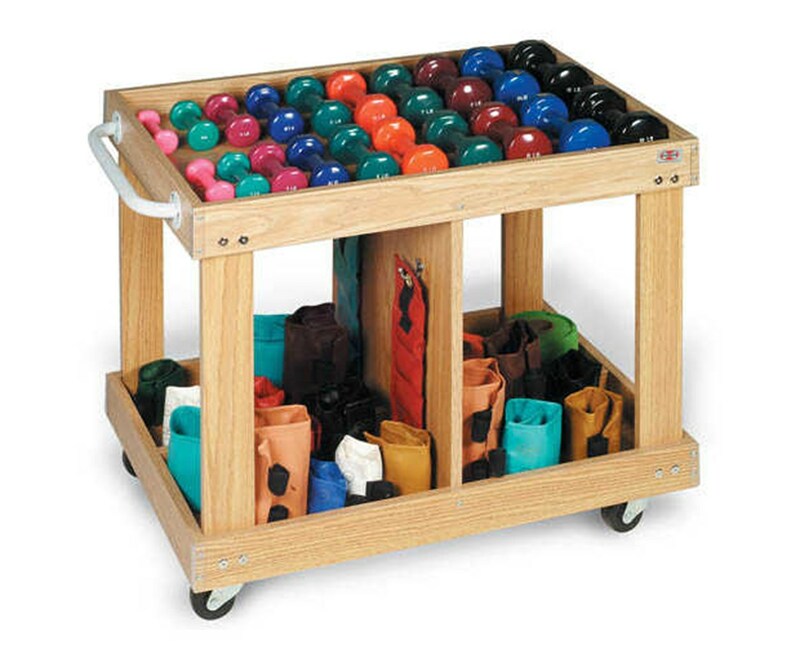 The Weight Wagon is mounted on 3" diameter heavy-duty casters for hassle-free movement around any physical therapy or rehabilitation facility.